Francis Schaeffer believes that the church has a heavy responsibility to promote community. He holds that the first step in comprehending Christian community is understanding the individuals who make up the community. The reason: The individual is important to God. He adds, “I am convinced that in the twentieth century people all over the world will not listen if we have the right doctrine, the right polity, but are not exhibiting community” (The Church At The End Of The Twentieth Century, 64). He stresses “existential living in the community.” The horizontal relationships must all be rooted in the vertical, namely, a relationship with God. He holds that the primary responsibility is developing community within the church. He does not minimize the importance of reaching out to the lost but contends the community of the faithful must come first. Schaeffer expresses his passion for maintaining purity in the church by appealing to the bride motif in Scripture. “As the bride of Christ, the church is to keep itself pure and faithful which involve two principles that seem to work against each other” (The Church Before The Watching World, 115). These principles include the practice of purity in regard to doctrine and life and the practice of an observable love and oneness among all true Christians regardless of who they happen to be. Ultimately our task is to exhibit simultaneously the holiness and the love of God. Schaeffer explains this complex responsibility. “If we stress the love of God without the holiness of God, it turns out only to be compromise. But if we stress the holiness of God without the love of God, we practice something that is hard and lacks beauty” (The Church Before The Watching World, 152). The method for practicing purity within the church is the consistent practice of church discipline (noted above as one of the norms of the New Testament church). Schaeffer unapologetically believes that anyone who rejects the teaching of Scripture in belief or practice should be placed under church discipline – the very purity of Christ’s church is at stake. Drawing further on the bride motif, Schaeffer warns Christians from committing spiritual adultery: “The bride of Christ can be led away and can become less than the bride should be. As there can be physical adultery, so too there can be unfaithfulness to the divine Bridegroom – spiritual adultery” (The Church Before The Watching World, 139). Further, “To turn away from the divine Bridegroom is to turn to unfufillment. This is not only sin, it is destruction” (The Church Before The Watching World, 147). The moment by moment experience with the Bridegroom is an extremely important issue in Schaeffer’s thinking. He believes that evangelicals, for the most part, have banked on the doctrine of justification by faith alone but they have failed to live in the light of this teaching: “As the bride puts herself in the bridegroom’s arms on the wedding day and then daily, and as therefore children are born, so the individual Christian is to put himself in the Bridegroom’s arms, not only once for all in justification, but existentially, moment by moment” (The Church Before The Watching World, 135). Moreover, “We are to act as that we are. We are not just going to heaven. We are even now the wife of God. We are at this moment the bride of Christ. And what does our divine Bridegroom want from us? He wants from us not only doctrinal faithfulness, but our love day by day” (The Church Before The Watching World, 148). Schaeffer does not stop with doctrinal and existential faithfulness to Christ. He contends that we must also demonstrate the reality of the Christian faith in tangible ways to the watching world. He holds that the essential quality of a believer is love for one another (John 13:35). Despite Schaeffer’s vigorous attempts to provide a defense of the Christian faith, he contends that love for one another and a unified body provide the basis for the unbeliever to become interested in the Christian faith. He calls this love and unity “the final apologetic.” He offers this challenge to the evangelical church: Our love will not be perfect, but it must be substantial enough for the world to be able to observe or it does not fit into the structure or the verses in John 13 and John 17. And if the world does not observe this among true Christians, the world has a right to make two awful judgments which these verses indicate: that we are not Christians and that Christ was not sent by the Father (The Mark Of The Christian, 197). Schaeffer contends that the evangelical church must return to the base of Scripture and embark on a Christian revolution. He maintains the church must be pitted against everyone who has turned away from God and the revelation of the Word of God. He believes the implications of revolution are threefold: First, Christians must realize that there is a difference between being a co-belligerent and an ally. Second, the church must take truth seriously (Here is the repeated emphasis on antithesis). Third, the church must be a real place of community (as noted above). Schaeffer does not believe, however, that mere revolution is enough. He believes that the church in the modern generation also needs reformation and revival. Reformation refers to a restoration to pure doctrine and a return to the teachings of Scripture. Revival refers to a restoration in the Christian life and a proper relationship to the Holy Spirit. Reformation and revival must occur simultaneously. Or as Schaeffer puts it, “The great moments of church history have come when these two restorations have simultaneously come into action so that the church has returned to pure doctrine and the lives of the Christians in the church have known the power of the Holy Spirit. There cannot be true revival unless there has been reformation; and reformation is not complete without revival” (Death In The City, 210). The primary issue at hand is a return to the Christian consensus; the Christian worldview. “I tell you in the name of God He will judge our culture unless there is a return to a Christian base for the culture – and that begins with true repentance and renewal in the church” (The Church Before The Watching World, 147). He addresses the problem of pluralism and believes “it is up to Christians to show that Christianity is the Truth of total reality in the open marketplace of freedom” (A Christian Manifesto, 440). Most fundamentally, our culture, society, government, and law are in the conditions they are in, not because of a conspiracy, but because the church has forsaken its duty to be the salt of the culture. It is the church’s duty (as well as its privilege ) to do now what it should have been doing all the time – to use freedom we do have to be that salt of the culture (A Christian Manifesto, 447). The answer Schaeffer gives for the enduring problems that America faces is most interesting. He endorses civil disobedience and goes so far to say that a given Christian is disobedient if she does not engage in necessary civil disobedience. The foundation for Schaeffer’s adherence to civil disobedience may be found in the book, Lex Rex. It essentially proclaims that the law is king, and if the king and the government disobey the law they are to be disobeyed. The logic is defined as follows: All power is from God (Rom. 13) and government is ordained and instituted by God. However, the state is to be administered according to the principles of God’s Law. Acts of the state which contradict God’s Law are illegitimate and are considered acts of tyranny (defined as ruling without the sanction of God). Therefore, the following principles apply to the Christian church: First, since tyranny is satanic, not to resist it is to resist God. Conversely, to resist tyranny is to honor God. Second, since the ruler is granted conditional power, it follows that the people have the power to withdraw their sanction if the proper conditions are not fulfilled. Third, Christians have a moral obligation to resist unjust and tyrannical government. Rutherford further explains the steps for a private person engaging in civil disobedience. The first step is to defend oneself by protest (in our society this would most likely take place by exerting legal action). Second, one must flee if at all possible. Finally, one may use force if necessary to defend himself. Dr. Schaeffer mentions that potential protest or withholding of taxes may be used to protest immoral activity such as euthanasia. Building on the principles set forth in Lex Rex, Dr. Schaeffer suggests a strategy for Christian force in an injustice such as abortion. First, one should aggressively support a human life bill or a constitutional amendment that protects the unborn. Second, one must enter the courts seeking to overturn the Supreme Court’s decision. Third, legal and political action should be taken against hospitals and abortion clinics that perform abortions. Fourth, the state must be made to feel the presence of the Christian community. Schaeffer’s position is clear. He maintains that the early church engaged in civil disobedience. He uses Caesar as an example who commanded everyone to worship him. The Christians in Rome willingly disobeyed and paid the ultimate price for their act of courage. Schaeffer, then, issues a challenge to the present day church. “And we must demonstrate to people that there is indeed a bottom line. To repeat: the bottom line is that at a certain point there is not only the right, but the duty to disobey the state (A Christian Manifesto, 485). If there is no final place for civil disobedience, then the government has been made autonomous, and as such, it has been put in the place of the Living God. If there is no final place for civil disobedience, then the government has been put in the place of the Living God, because then you are to obey it even when it tells you in its own way at the time to worship Caesar (A Christian Manifesto, 491). To sum up, Dr. Schaeffer challenges the church to stand up and act. 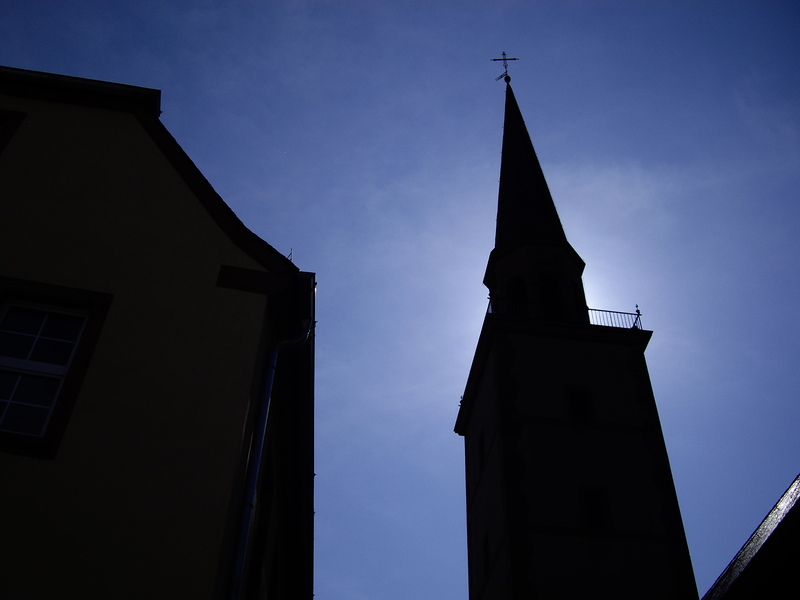 The Christian church must respond to the cultural decay or find itself wanting. Schaeffer’s warning in the late 60’s and early 70’s is even more relevant today!